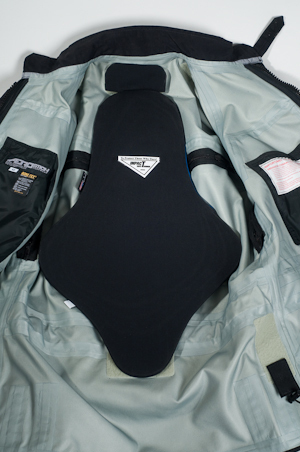 Impact Safe-T Armor's Aero-Sport competition back protector is designed as a performance upgrade replacement for owners of Aerostitch suits and jackets using the integrated hook & loop attachment system. 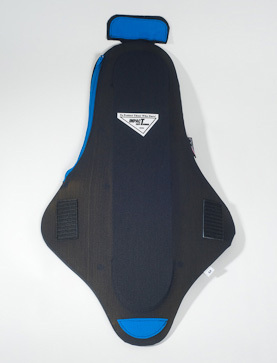 This true race-spec back protector combines a correct anatomic profile and advanced materials. 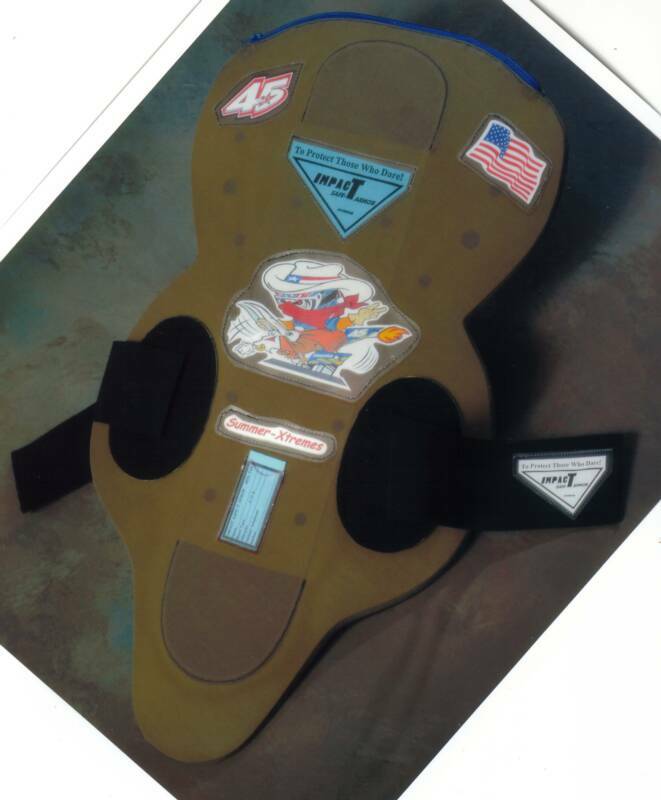 The patented protection system was first developed for race applications and protected riders such as the Haydens, Mat Mladin, Colin Edwards and Troy Corser to name just a few! The Aero-Sport dual stage impact diffuser system consisting of an ABS spinal diffuser and polyethylene surface diffuser assist the Nitrile foam impact core in effectively dissapating high levels of harmful impact energy away from the owner. Designed to withstand multiple impacts, the Aero-Sport design allows for inspection of internal protection components and replacement (or upgrades) of individual protection components when necessary. Comes standard with detachable, adjustable elastic waist belts for use with your track day attire and is manufactured in sizes; small, medium and large. Custom sizing is also available.